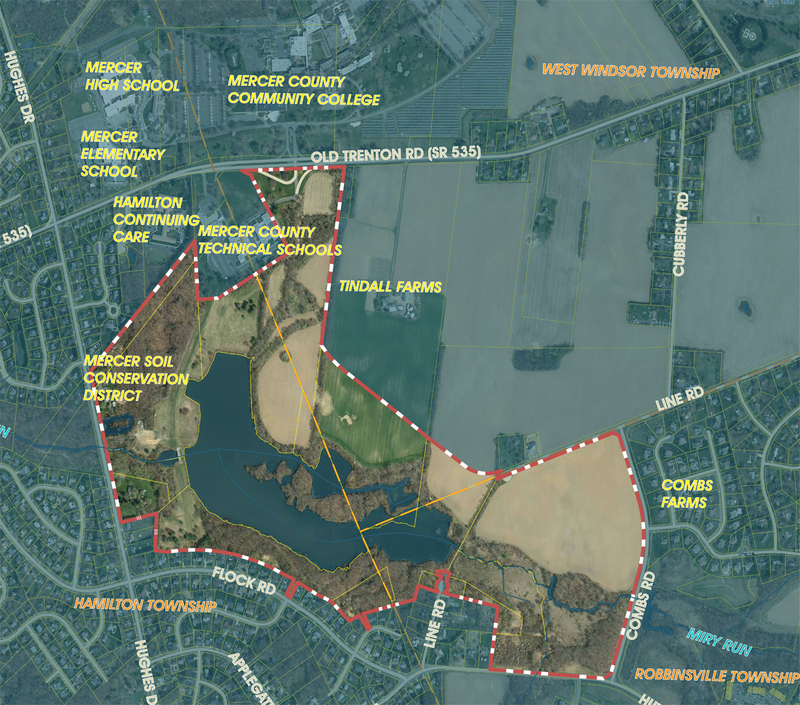 WEST WINDSOR - (April 5, 2019) - The Mercer County Park Commission is developing a new passive recreation park at Dam Site 21 in Hamilton, Robbinsville and West Windsor. The next in a series of public meetings to discuss potential improvements at the 370-acre property, which includes a lake, undeveloped uplands, wetlands, woodlands and open fields, will be held May 9, 2019 at the Mercer County Lake Boathouse. Dam Site 21 was planned as part of the Assunpink Creek Watershed Water Works Plan in the early 1960’s, the county’s approach to reduce flood damage and develop water resources in the Assunpink Watershed. The land of Dam Site 21 was bought in the 1970’s, and the dam was built in cooperation with the U.S. Department of Agriculture’s Soil Conservation Service. Since then, the land has been held and used for permanent recreation and conservation of water resources. The lake in Dam Site 21 is around 55 acres, and the nearby area comprises undeveloped uplands, wetlands, woodlands and open fields. A portion of the Capital to Coast Trail runs along the northern side of the lake from Line Road in Robbinsville to Old Trenton Road in West Windsor. Township residents of Combs Road also would be impacted.